The Boston Globe Sunday Magazine spoke with Dr. Sara Stetson, assistant superintendent of Student Services at APS on our collaboration with Dr. Nadine Gaab, a professor of pediatrics at Boston Children’s Hospital and Harvard Medical School. Dr. Gaab has developed an app that may help detect language-based learning disabilities at a much younger age. APS will pilot the app beginning this month. 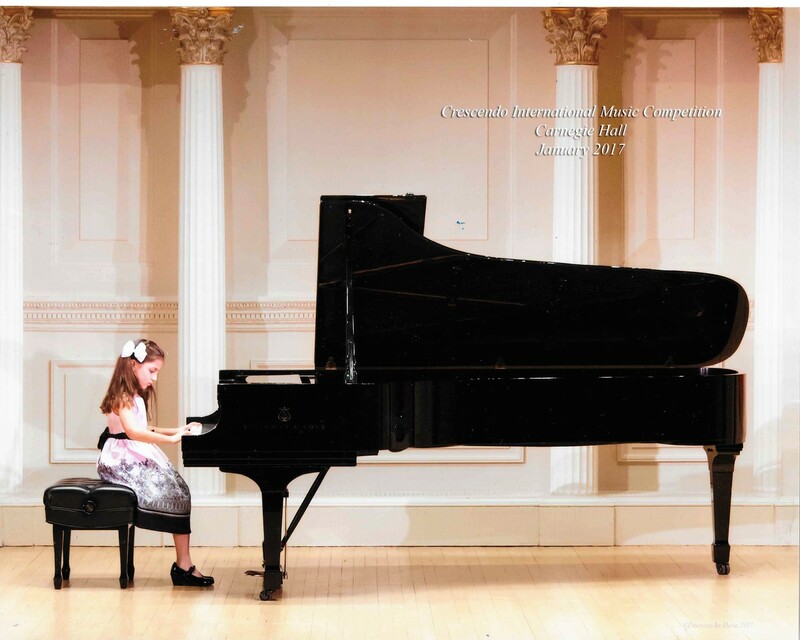 Every musician has the dream of playing at Carnegie Hall in New York City. 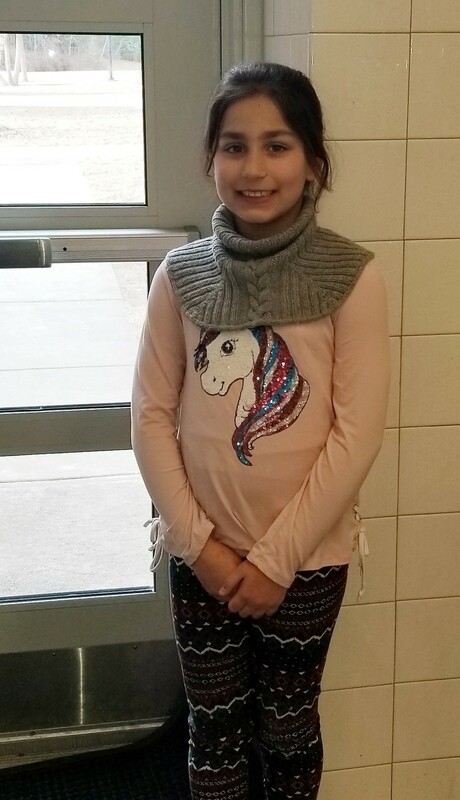 For High Plain Elementary fourth grader Victoria Colantonio, it’s already become a reality—twice! At the age of nine, Victoria will travel once more to NYC and play piano for the third time in January at the annual Crescendo International Competition. 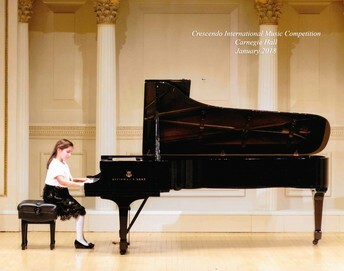 The concert hosts young musicians from all over the globe and, as the saying goes, it takes practice to get to Carnegie Hall. Victoria has been playing piano since the age of four and practices daily. Each Saturday, she spends a few hours with her instructor. In order to qualify for the Crescendo competition, she must perform, and place first or second, in a first round recital in Sharon, Mass. Music runs in the Colantonio family. Mom played piano, Dad plays electric and acoustic guitar, and her six-year-old brother, Nicholas, is also learning piano. Victoria loves playing with her brother; they both sit at the piano and practice together. Her musical tastes run wide; she likes to play Bach and other classical pieces and loves listening to Imagine Dragons. She recently saw Trans-Siberian Orchestra in Boston and thought they were awesome. Surprisingly, Victoria does admit to a little stage fright when performing in front of an audience. How does she shake it off? She says she takes a deep breath and focuses on the keys on the piano, and the crowd disappears. Best of luck, Victoria. Your hard work and practice is already an inspiration to us all! Each school day for the past 14 years, Crystal Martell has made her way to the lower level of Shawsheen Preschool to welcome APS’s youngest and most energetic students. She loves every minute of it. Becoming a teacher was a lifelong dream for Crystal. She played “school” when she was a child. She attended Fitchburg State University and earned a Masters in Early Childhood Education. 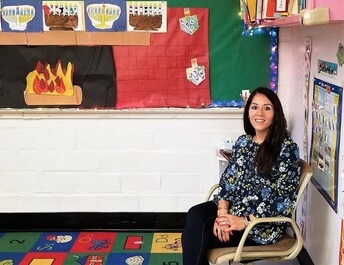 Becoming a teacher at Shawsheen was her first job after graduation! Crystal has seen a lot of change in her 14 years at Shawsheen, in herself and her students. Classes have evolved—it’s not just nap and snack time at Shawsheen. Students are challenged with math, science and literacy skills to prepare them for kindergarten. She learns something from each child in her classroom. She knows that the diversity of experiences with young children make her a better teacher. Crystal’s classroom is integrated and she applauds the efforts for early screening and detection in our youngest students. Crystal loves seeing the change in each student and their skills from their first day to their last day in her class. As a mother of two herself, Crystal takes great pride in fostering independence and social skills in her students. 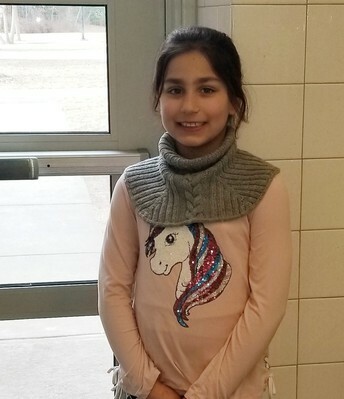 She and her dedicated Instructional Assistants spend time focusing on positive attitude, respect, and teamwork with the children; she wants them to be good, kind members of their community when they leave Shawsheen. 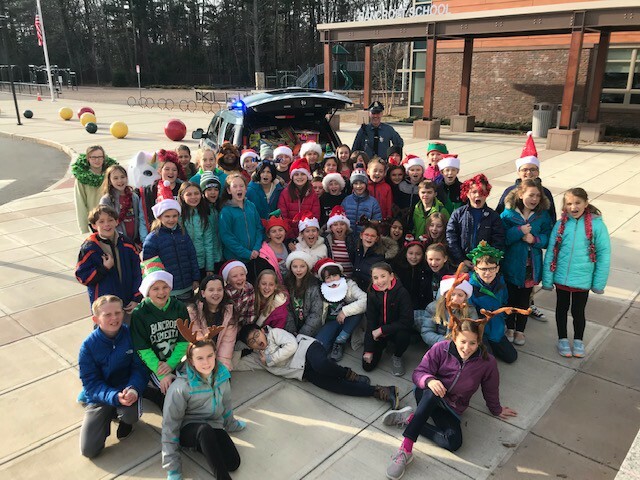 Students, parents and staff always look forward to a well-deserved winter break. As I mentioned in my Thanksgiving message- the start of the school year was like no other. While the gas crisis ‘deadline’ has passed, there are still challenges within our community and I hope this time with our families and friends provides the opportunity to rest, enjoy the company of others, and restore. As we move into the second half of 2018-19 school year, I look to our good works within the district. APS’ new literacy program and the professional development surrounding this initiative has gotten off to a positive beginning. Our teachers continue to create a sense of community in their classrooms, focusing on social-emotional learning and cultural proficiency at all grade levels. A positive sign for the future was last week’s approval of West Elementary School Building Committee to move into the Feasibility Study phase by the Massachusetts School Building Authority (MSBA). This collaboration with MSBA will help create a building design and hire an Owners Project Manager (OPM) to help guide the process of design and construction. 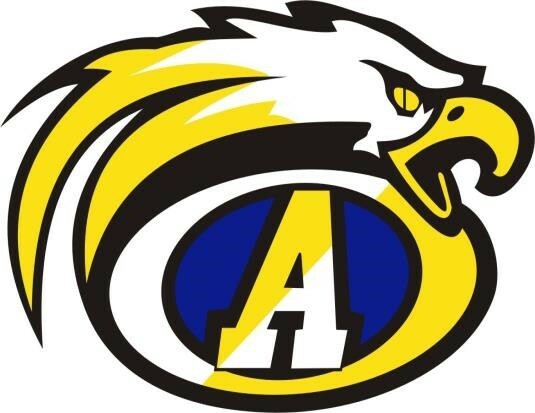 The proposal submitted by Andover High School Facility Study Committee was not accepted by the MBSA at the most recent meeting. The AHS Facility Study Committee will renew its efforts for MSBA funding by submitting another Statement of Interest in April and continue its work to address overcrowding, aging building systems and program limitations at AHS. We live in an incredible community and our shared experience this fall has created strong bonds with one another. I hope you are all able to enjoy this recess with family and friends. I look forward to 2019 with promise; and wish you all the brightest of New Years. Bancroft Elementary School recently celebrated the completion of its annual Toys for Tots Drive. Fourth and fifth grade student council members help collect toys throughout the month of December to donate to the Andover State Police Barracks’ Toys for Tots collection. 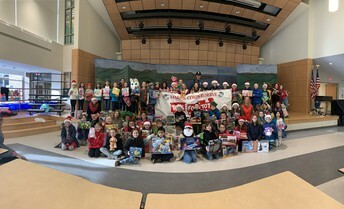 Students make posters, announcements, videos, and chart their toy collection to promote the fundraiser. 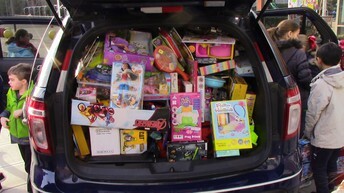 Their goal each year is to “fill” Trooper MacAllister’s State Police vehicle. This year the Bancroft community donated over 300 toys and filled his vehicle completely! This is one of the student council’s favorite fundraising events of the year and it is something they are very proud of. Join the Andover Vocal Music performers on Friday, December 21st in front of Old Town Hall for some holiday cheer and caroling! Singers will be on hand at 3 P.M. Please stop by and show your support as you finish crossing off items from your list! At the December 13, 2018 School Committee meeting, the Committee approved a final version of the Coaches Handbook created by AHS Principal Phil Conrad, Athletic Director Bill Martin, in collaboration with Assistant Principal Caitlin Brown and Assistant Athletic Director Kerry Cashman. Athletics is a vital component of high school life for many students. Its effects stretch beyond the students to the families, staff, district, and community. Andover High School takes immense pride in the athletic efforts and accomplishments of its student body. Coaches play an important role in each student-athlete’s development. Coaches, parents/guardians, students, teachers, and administrators all work together as part of the district team—teaching, endorsing, commending, reflecting, and modeling the traits embodied in Andover Public Schools’ Theory of Action. We encourage you to read through the eight pillars that serve as these guiding principles for our coaches. We are also looking to develop a parallel document for extra-curricular activities advisors. Coaches Handbook- as approved by School Committee December 13, 2018. This week, a representative from Environmental Protection Agency (EPA) presented the 2018 National Food Recovery award to volunteers of the Andover Public Schools for waste reduction efforts. Green Schools Andover and APS were celebrated as a national winner in the Education and Outreach Category. Green Schools Andover is a group of local advocates working with APS to educate students and the school community on school lunch waste and food recovery. 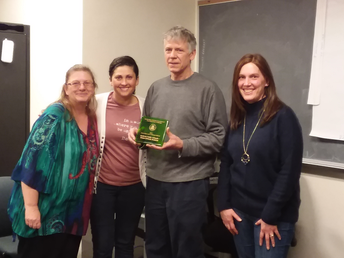 Janet Bowen presented the award to volunteers Melissa Nelson, Brad Weeden, and Carina Schusterman. Andover was one of 14 national winners, and the only winner from New England. An interesting note- the award is crafted from recycled glass! Andover Elder Services is seeking school-age children and their families to adopt a senior in their neighborhood for snow shoveling the pathways at the senior’s home. To bring back the neighborly feel of helping those in need, this program is designed to help individuals with basic snow removal for pathways only. Andover Parent to Parent will host Dr. Marisa Silveri, the director of McLean Hospital’s Neurodevelopmental Laboratory on Addictions and Mental Health and an associate professor of psychiatry at Harvard Medical School for a discussion on the effects of substance use on the development of the teenage brain. The forum will be held on Tuesday, January 8, 2019 at 7 P.M. at the Pike School. Click here for more information. Due to the New Year and Winter Break- the next edition of Warrior Wednesdays will be published on January 9, 2019. Happy New Year to all at APS!